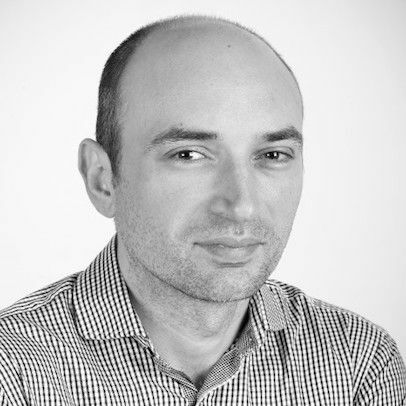 Senior Lecturer Nico Pizzolato from the Institute for Work Based Learning has been working with Görkem Akgöz from Hacettepe University, Ankara, to put the study of factories back on the research agenda. Western societies have seen the percentage of industrial production diminishing since the 1970s. Factories, once the symbol of capitalism, have declined in numbers, but, in particular, they have retreated from the centre of politics, policy and the collective imagination, as well as from cutting-edge scholarly research. However, the goods we consume are still manufactured in factories and, even though the geography of industrial production has changed in shape, becoming more global and more dispersed, factories still continue to exist in the West too, though outside the limelight. The project ‘Back to the Factory’, which has brought to Middlesex University Görkem Akgöz (Hacettepe University, Ankara) as a Newton Advanced Fellow for the British Academy, and which involves me in the quality of co-investigator, aims to set up a research agenda to place the study of the factory back in the centre of historical and social inquiry. This is in counter-tendency to theories that argue for the irrelevance of the study of the factory to understand a contemporary world steeped in a ‘knowledge economy’. Over the course of the last year, we have presented the project and led conference workshops in Istanbul, Turin, Valencia, London and gathered a group of researchers who, independently from each other, were working along the same lines. Two of these scholars have now visited Middlesex University and were hosted by the Interdisciplinary Labour Studies Seminar at the Business School. Introduced by Görkem Akgöz, both Gulhan Balsoy and Aslı Odman have focused their research on Turkey, a country that has used outsourced industrial production to enter the club of fast-growing economies. Though looking at the past, both research projects talk to the present and fill important gaps in the literature on Turkish industrialisation, within a wider international context. Gülhan Balsoy (Istanbul Bilgi University) looked at the question of workers’ health hazards in the Cibali Tobacco Factory, in early 20th century Istanbul. Located in the Golden Horn, the factory was one of the largest of its kind in Turkey and employed female and male workers belonging to different ethno-religious groups in a productions system that was rigidly divided along gender lines in terms of tasks, skill and pay. Female workers earned a fraction of the male wage, yet neither of them received enough to live comfortably. Workers suffered malnutrition, low living standards and ailments linked to their working conditions: tuberculosis, asthma, bronchitis and other lungs problems. Notwithstanding their precarious conditions, they battled with management against the introduction of machinery, though they were not able to counter the unhealthy working environment in which they laboured. 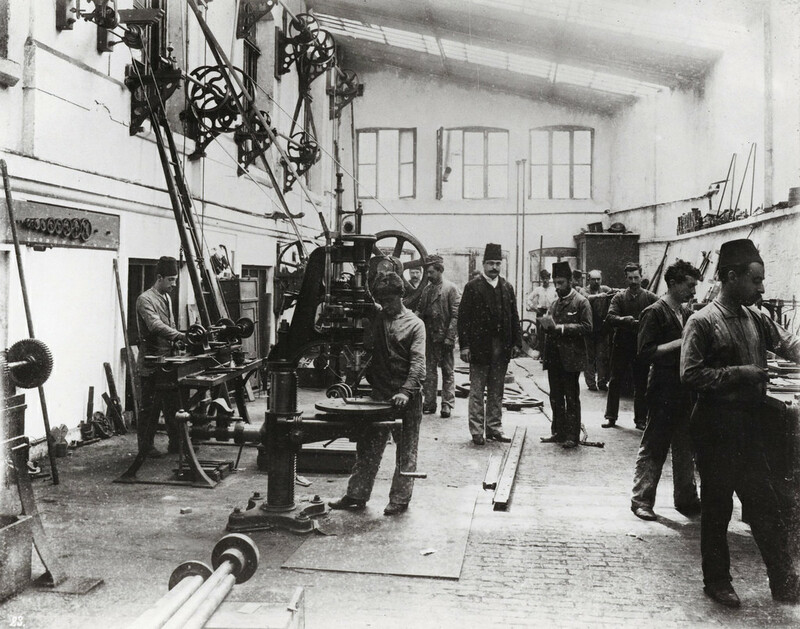 Balsoy challenged the audience to look at the factory shop floor as the site of a different kind of ‘production’, not only geared to produce the processed tobacco leaves that constituted the basis for cigarettes, but also a production of bacteria, infections, diseases and long-term ailments the affected workers throughout their lives and sometimes caused their death. The consequences of unhealthy working conditions were particularly excruciating for women who also suffered miscarriages, infertility or were unable to provide safe breastfeeding to their babies. The risks of working in tobacco manufacturing and dire conditions of the workers became so proverbial that they also featured in popular novels, while being constantly minimised or ignored by the employer. The Ford factory in Istanbul, where production fell short of meeting the expecting target of hundreds of assembled cars per day. Aslı Odman (Mimar Sinan University, Istanbul) has unearthed the forgotten story of Ford’s failed experiment in establishing a car assembly plant in Istanbul in the interwar period. Crossing the boundaries between geography and history, Odman reconstructed a chapter of Turkish economic history entangled with the emerging process of globalisation of capital and of industrial models. In the Turkish factory “swarthy Egyptians and morose-looking Afghans could be seen rubbing shoulders with trim Rumanians and athletic Greeks”, reported the New York Times, but, “all trying to decipher the fine details of the new Ford model”. A lot in this story sounds strikingly contemporary: Ford was granted a free zone for its plant. The new republican state forsook its sovereignty in return for industrial capital investment and the ‘training’ of workers on the assembly line, which echoes strategies of the contemporary globalisation of capital through Free and Special Economic Zones (FEZ and SEZ). A strategic node between Europe, the Middle East and Soviet Russia, Ford conceived the Istanbul plant for grandeur, but it fell short of meeting the expecting target of hundreds of assembled cars per day. We learn from this story also how Ford’s philosophy of production was tremendously influential toward the Soviet Union and how Ford was mindful of pushing forward an internalisation strategy that would give him access to Communist market. Istanbul’s plant was a clog in this strategy. 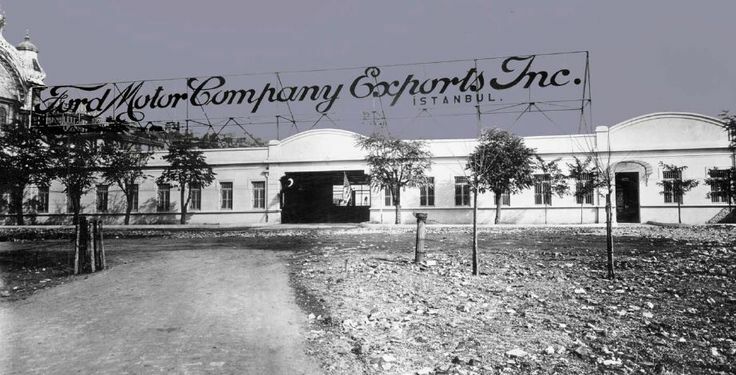 Victim of the Great Depression and of a renegotiation of the geography of industrial capital investments, Ford’s Istanbul plan ended in the same way it had began, as an instance of the international dynamics of capital, which had effectively de-nationalised a sovereign territory during the same process of the formation period of a national market in Turkey. ← What next for the UK?